Visceral fat is a specific type of fat that is found on the stomach, and goes by many other names ‘your beer belly’, ‘spare tyre’ or ‘muffin top’. Whatever you call it though, it is one of the biggest banes for those trying to lose weight and is often the area where people most want to shift some weight. Visceral fat is also different in that it remains the same shape and won’t fall to your sides or sink into your stomach when you are lying down. High visceral fat is dangerous and is correlated with cholesterol, diabetes, Alzheimer’s and other conditions. This is because visceral fat is the fat that is located inside the abdominal cavity – packed between organs – rather than underneath the skin (subcutaneous fat) and this fat will release acids that are metabolized by the liver and which can cause insulin resistance in the liver. Here we will look at how to measure visceral fat and then how to get rid of it. There are many different ways to measure visceral measurements of fat and these include things you can try at home as well as procedures the doctor can carry out. For instance CT scans. You can also bioelectrical impedance machines which use an electrical current that can differentiate between fat tissues. 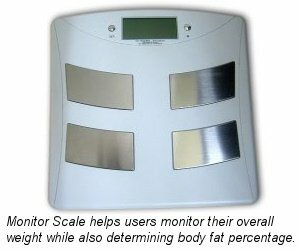 This is the most accurate method of measuring visceral fat for the general public, but can cost around $200 to $300. Another method you can use to measure your own fat is to take a circumference measurement of the waist and hip which will give you your waist to hip measurements. This is an easy but not entirely accurate way to measure your visceral fat. Simply measure the circumference of each with a tape measure (around the largest point) and then divide the waist measurement by the hip measurement. If the number is worse than 1.0 for men, or 0.85 for women then they are considered excessive. For instance for a man a ratio of 36/40 is good. This won’t all be visceral fat though – some of that will be subcutaneous fat that is underneath the skin (though you likely want to be rid of this too). To see how much of that fat is visceral, now measure your stomach once when standing up and once when lying down. The subcutaneous fat will fall to the sides of your body and disappear, but the visceral fat will remain where it is – this then tells you how much of that fat is visceral. To be honest you don’t need to spend lots on a CT scan or bioelectrical impedance machine because you don’t need to know the exact amount of visceral fat there. Use the technique above to ascertain whether you have a problem or not, and then go about reducing that fat. So now you know you have visceral fat what can you do about it? Well the bad news is that unfortunately it is impossible to target fat loss. Your body will store fat in a random order that is dictated by your genetics. Visceral fat is just like any other fat except that rather than storing the fat on your arms, your body has this time opted to place the fat in your abdominal cavity. If you then begin to burn and lose fat, this will of course reduce the amount of fat in your body, but the order that your system goes about looking for that fat will be based on the same genetic pattern. It will take the fat from your body in the reverse order that it put it there. So there’s no point doing hundreds of sit ups – this won’t burn much fat (because you won’t be able to do them for long enough or vigorously enough) and it won’t mean that the fat is burned from your stomach – bicep curls are just as likely to burn fat from your abdomen. First of all, bodybuilding will help to make your body more anabolic. Something like a squat or a bench press will flood your system with more aforementioned growth hormone, but at the same time simply having more muscle mass will mean that you lose more weight because your body needs to burn fat in order to produce the energy it needs to maintain the muscle mass. Furthermore, while sit ups and crunches won’t encourage you to burn fat from your stomach, it will tone up your abdominal muscles which will give you more definition and help to hold any stomach fat in. This then means you’ll look firmer and more toned even before you’ve burned all of the fat. Ever seen a fat bodybuilder? Thought not. In order for this fat to stay off though you also need to combine your efforts with the right diet. This is quite simple and means basically consuming fewer calories than you are going to burn off in a day (you also need to take on board your basal metabolic rate which is the amount of calories that your body burns simply in order to keep you upright and breathing). If you do this then you will gradually reduce the amount of fat in your body rather than simply replacing it after your workouts. The foods that are highest in calories are generally fats and carbohydrates (simple carbs) and so by limiting these you can improve your caloric intake. Consuming protein and fiber meanwhile is good – particularly protein which will be used to repair the muscle damage caused by all the exercise. However don’t be tempted by the allure of any of these ‘fad’ diets which recommend completely cutting out carbs (Atkins I’m looking at you!) or other food stuffs, as this will leave you with no energy and will cause you to gain more weight rapidly afterward when your diet returns to normal. So eat less of everything, and eat a lower ratio of carbs to proteins – but at the same time make sure you do get a balanced and nutritious diet. It’s all common sense and you know how to eat healthily really – it’s just a matter of doing it! I did not see any commercial information in the article, it seemed well balanced and informative. Common sense and I did not perceive any commercial interest. Good start to understanding how to lose my belly fat. Bodybuilders DO get fat when they are bulking up off season. They don't get that lean look until around competition time, after they've spent some time doing cardio and dieting. This article is very simple, useful, factual and void of commercial. Well said! I have been doing a mixture of #cardio with random pulls of intense running, also combining slow and heaving lifting. My results every time: I am sweating for a whole 1 hour and 40 minutes! P.S. I have a 190 gram Protein intake with a 60 gram of Carb ratio. Before my #workouts started, I weighed 170 lbs, and 5 months later: 156 lbs. body fat has gone down to 15% according to the measurements. I feel and see the stubborn fat running away!!! Keep up the hard work people!! I have a gut feeling that the solution to losing visceral fat lies in understanding the actions of certain gut bacteria. Until we do, diet and exercise are just guesswork! Very useful article, in particular with the tips of how to measure visceral fat. The article was very informative and was written in a manner that kept it simple and interesting. No commercial information, in fact even saying you don't need expensive measurements. Seems informative. Thank you. Good basic information. Thank you. Dieting properly is not simple! Eating more protein is not the way to lose weight and be more healthy… 85% or more of your daily calories should be whole plant-based foods. Eat greens, beans, mushrooms, onions and nuts/seeds every day. Do not overeat but fill yourself with vegetables and fruits. Dieting properly is pretty simple! Eating more protein and fat is the way to lose weight and be healthier… 90% of your daily calories should be organic meats and fats. Eat saturated fats, low amounts of omega-6 PUFA, eggs, leafy greens and nuts/seeds every day. You won’t feel a need to overeat this way because it is the way you are biochemically designed to eat. The difference in waist measurement lying down compared to standing would be subcutaneous fat (if there’s a negative difference). If there was no difference you'd very lean. Interesting, well written and full of common sense, without trying to sell anything – how refreshing! Good information about viseral fat and how to burn it off. Presented in a simple lucid way, you know what you want to do, just get up n start running. Thank you, for keeping it simple and user friendly. Thank you very much for a very informative, intelligent and easily understandable article on a very important but little mentioned topic that we all need to be aware of. I think you haven't read Atkins if you are making the statement "completely cutting out carbs." He NEVER advocated cutting out all carbs. That is why it's called a LOW carb diet. Most of the carbs he was talking about had to do with the overconsumption of sugar. He has one of the easiest to understand explanations of what happens in the body to the sugar and other carbs one consumes. Otherwise there is a lot of good information in your article. So the gist of this article is, you cannot lose visceral fat any more than you can lose any other kinds of fat. All the methods of weight loss mentioned here, target no particular fat deposited location. A lot of reading to come to that conclusion here. This statement in your article is incorrect: "The foods that are highest in calories are generally fats and carbohydrates (simple carbs) and so by limiting these you can improve your caloric intake." While it is true that fat has more calories than protein and carbohydrates, protein and carbohydrates are equal in value. Remember the 4-9-4 theory, or in keeping with this comment, fat=9 calories per gram, and both protein and carbohydrates are 4 calories each per gram. As far as the amount of calories you take into your body each day, protein is no better than carbohydrates; it is true that protein is need to build muscles, but without the proper level of sugars or carbohydrates in your body you will quickly become unhealthy, and may even die from a rapid loss of blood-sugar levels. The human body needs a fine balance of all three to survive. Stating anything other than this is very dangerous to a person's health. Reduction of calories overall is important in weight loss overall, but the three values should remain in balance, and ALL reduced at the same time. About measuring my own hips and waist and dividing the waist by the hip measurement, you say, "If the number is worse than 1.0 for men…" What's "worse"? Higher than 1? Lower than 1? Just be careful when he talks about diet. You definitely DO NOT want to lower your calories if you want to lose weight/fat, because your body will need those calories to prevent from going into starvation mode especially when you're working out and rebuilding muscles. You should be eating a paleo diet (no matter what, even if you're not trying to lose weight/build muscle) which means over 50% of your calories should be good fats like grass-fed butter, avocados, and coconut oil. These are amazing for your body and heart, and fats are packed with calories so just by eating a little you are covering how much you need in most cases. Your mitochondria prefers fats as their fuel source, and do worst with carbs. That does not mean carbs are bad and you should avoid them, but in general, 50% of your calories should be fats, the majority of your plate should be good vegetables, with good carbs like sweet potatoes and rice added on, and palm sized amount of meat protein. Eat all high quality foods, no processed crap and avoid all industrialized oils and non-grass-fed butter, as THESE are terrible for you and cause heart disease because they're loaded in omega 6s which are bad. You want omega 3s, found in grass-fed butter and the other stuff I mentioned. Wild caught salmon, not farm raised/Atlantic salmon. Organic only, grass-fed only, free range only, no antibiotics or hormones or GMOs or crap like that. These are very important. Avoid all gluten, grains and wheat. Be careful with dairy, probably better to avoid it too. Butter is only 1% dairy so it's fine. Very refreshingly written. Pretty accurate with just the information needed for a layman. And absolutely no selling. Have cross checked with a biometrical impedance machine and result was very close. Good Job! What a great article! Just confirmed all that I have experienced. I have lost 53 lbs by doing mainly cardio exercises with a regular mix of weight training. Add to that a low calorie/low fat diet and the good results were inevitable. I have been doing this since November 2015. Thanks for this excellent article which I will be using to encourage others to do the same. The amount of fat expended is proportional to basal metabolic rate, mass of the body includes water, muscles and exoskeleton. There will be a point where the body tries to fight the loss of fat and try to maintain it while doing exercise/workouts and diet or over the course of the day. The trick, should really be the ratio of fat that can/should be lost and be maintained. Over the course of time the amount of fat (attempted fat loss/ weight) can then be achieved. Burning too much fat quick also causes food cravings, which is an side-effect. Good article, touches all the bases. So this article and thousands like it are saying that you can target fat loss to a particular area. Is there any scientific evidence to this effect? I’d always understood that it’s impossible to spot reduce fat. You lose it in precisely the opposite order that you gain it. The very first place I put it on is the moobs. And when I lose it, they’re what go last.